As further described by Abdur Razzek: Vijaynagar is built in such a manner that seven citadels and the same number of walls enclose each other. Around the first citadel are stones of the height of a man, one half of which is sunk in the ground while the other half rises above it. These are fixed one beside the other in such a manner that no horse or foot soldier could boldly or with ease approach the citadel." Razzaq describes the outer citadel as a "fortress of round shape, built on the summit of a mountain, and constructed of stones and lime. It has very solid gates, the guards of which are constantly at their post, and examine everything with severe inspection." Seventh fortress is the innermost of all and most protected as it used to serve as King’s residence." "The space which separates the first fortress from the second, and up to the third fortress, is filled with cultivated fields and with houses and gardens. In the space from the third to the seventh one meets a numberless crowd of people, many shops, and a bazaar. By the king's palace are four bazaars, placed opposite each other. Above each bazaar is a lofty arcade with a magnificent gallery, but the audience-hall of the king's palace is elevated above all the rest. The bazaars are extremely long and broad." Thinking and deliberating on the magnificence of this place, we were now on the legendary Hemkuta Hill, it was the time to see and experience the large number of temples, archways and pavilions. The whole hill was fortified with tall wide stonewalls, the ruined remains of which can be seen till today. Hemkuta hill with reasonably flat expanse is one of the ideal places in Hampi to cherish the sunrise and sunset. According to the prevailing myth, once Lord Shiva was so impressed by the dedication of a local girl "Pampa" for him that he agreed to marry her. 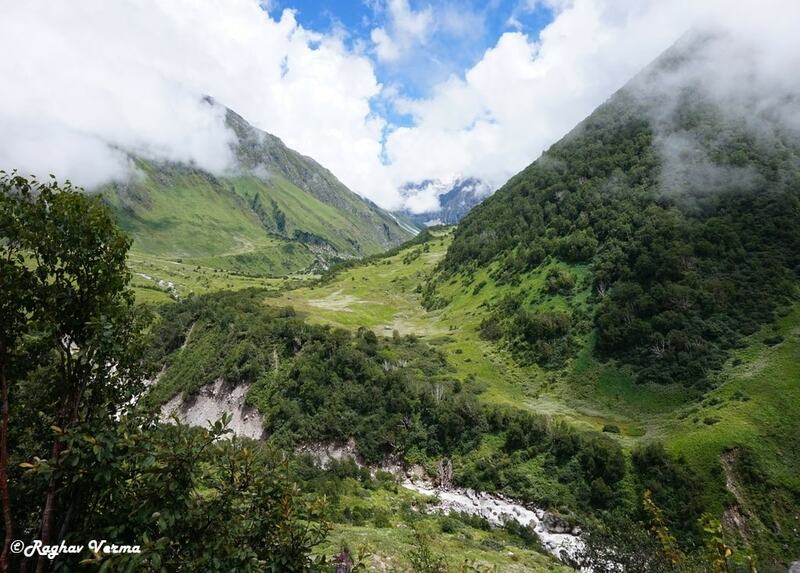 The occasion was celebrated by the Gods and it rained gold on this hill, which gave the present name to this hill (Hema in Sanskrit language means Gold). Hence majority of temples here are dedicated to Lord Shiva, the major one being the "Virupaksha temple", located at north of this hill. This hilltop and its slopes offer a splendid view of the sprawling ruins site. Virupaksha temple surrounded by small temples. 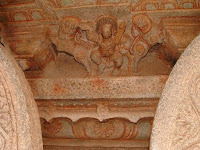 Virupaksha temple is the principal temple in Hampi and an important pilgrimage centre for the worshipers of lord Shiva. 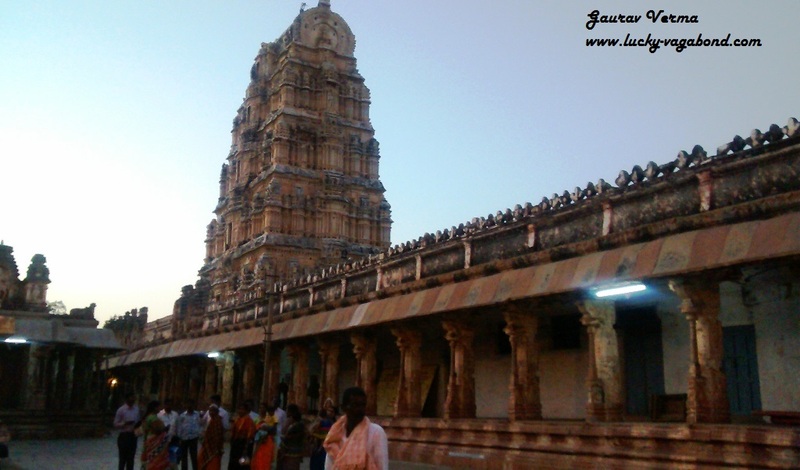 The annual festivals attract huge crowds, Virupaksha temple is equally sought after by the tourists and pilgrims. It believed that this is the oldest functioning temple in India, as this temple has been functioning continuously ever since its inception in the 7th century AD. Virupaksha temple has been beautifully carved with numerous images of Gods and Goddesses. One can reach the main entrance of temple through the chariot street in front of the Hampi Bazaar, just next to where the local bus stand. From the ticket counter close to the main entrance buy the entry ticket (Rs. 5), camera ticket (Rs. 50) and video camera fee (Rs 500). What an amazing piece of architecture? 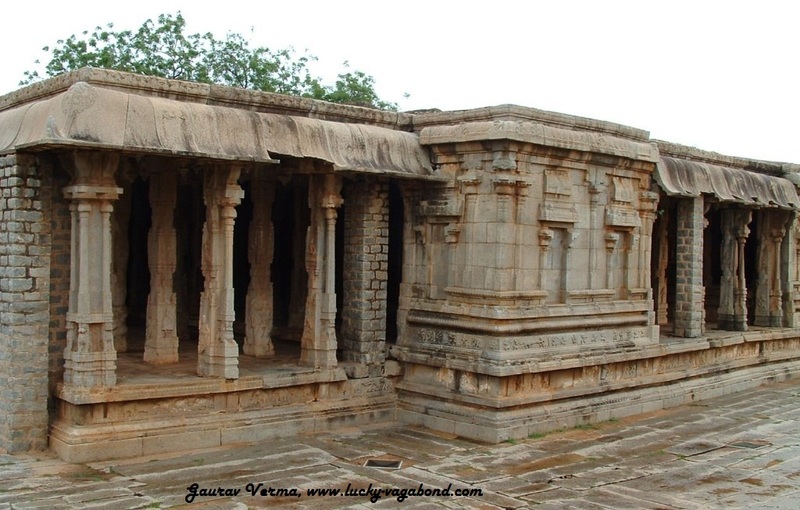 There is a long market outside Virupaksha temple and a number of bouldered structures, all in stones. Looks like once it has been a double story market. Next destination is the temple which even Lord Vishnu found too grand to his use and returned to live in his own home. 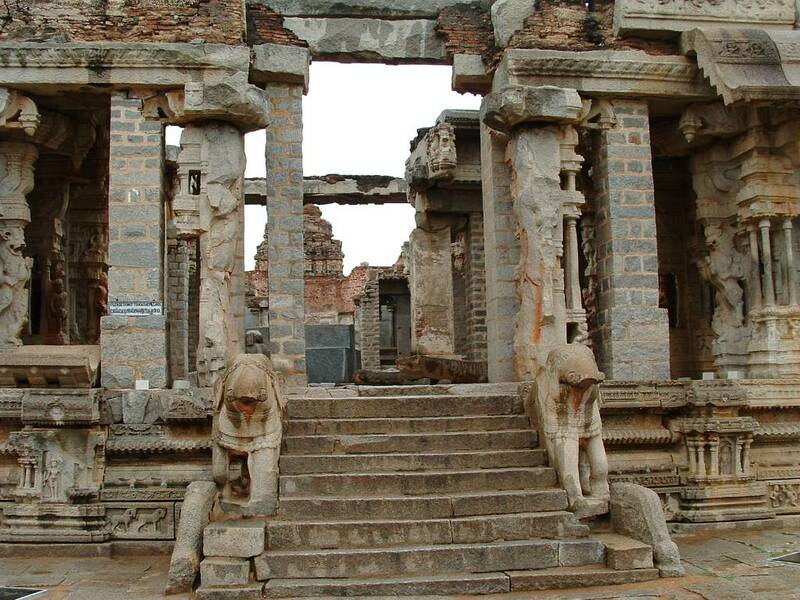 yes we are talking of the most grand monument in Hampi, Vittala temple. the present look of the temple is attributed of Krishna Devaraya, the most acclaimed ruler of Vijayanagara dynasty. Temple complex is so big that it has shrines, pavilions and many halls located inside it. The famous "Stone Chariot", face of Karnataka tourism belongs to this temple. The major attraction of this temple are the 56 musical pillars of Ranga Mantapa, one main pillar surrounded by a set of minor pillars. Pillars are called as "SAREGAMA" pillars courtesy to the musical notes emitted by them. Every main pillar is surrounded by 7 minor pillars. These 7 pillars emit 7 different musical notes of representative musical instruments. Sound quality depends on the type of instrument, whether wind, string or percussion type of musical instrument. These musical notes coming from the pillars has been a mystery to the people around the world. Even the 2 pillars were cut by then british rulers of India to solve this musical mystery. However nothing was found inside the pillars and the secret is still unknown. The 2 cut pillars can still be seen in the temple. These pillars are a true testimony to the technological acumen of those times. Not only the huge structures, even the roofs are also delicately carved. Now the floodlights illuminate the Vittala temple complex and offers a majestic view of the complex. Purandaradasa Festival held annually in the month of February Attracts visitors from far off places. 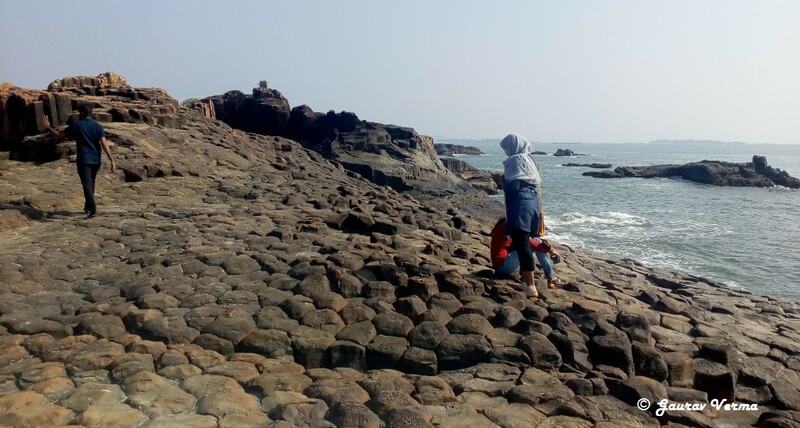 Hampi is a place where you can wander tirelessly for days, you will surely fall in love with the rocks. I was left spell bound. Though in ruins now, but the aura is still intact for these monuments. 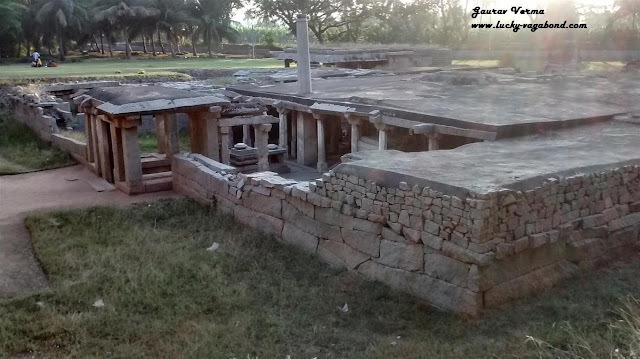 All of these were gradually reduced to ruins as the Empire fell to the invaders coming from North India in 1565 after the Battle of Talikota and this beautiful region was mercilessly plundered. Indeed one of the biggest losses to the civilizations, “Lost was a city, a region the brilliance of which will never be seen again in future”. 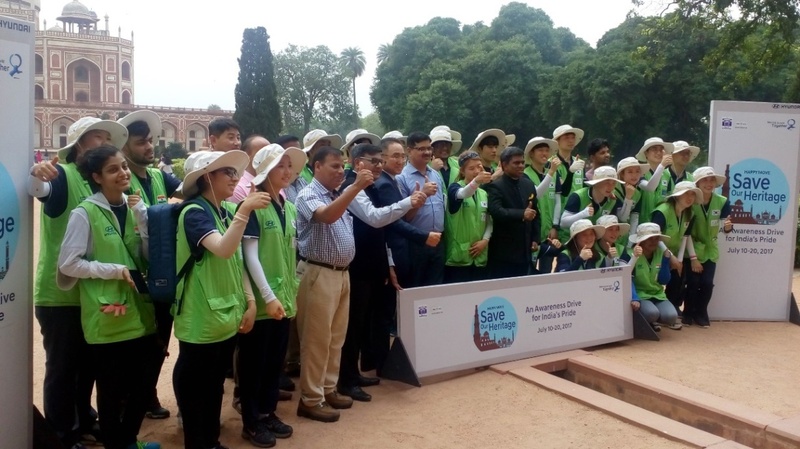 Hampi has been declared as a World Heritage site by UNESCO. Ruins still held their esteem and provide glimpses into the prosperity this place has seen. 57 Km. 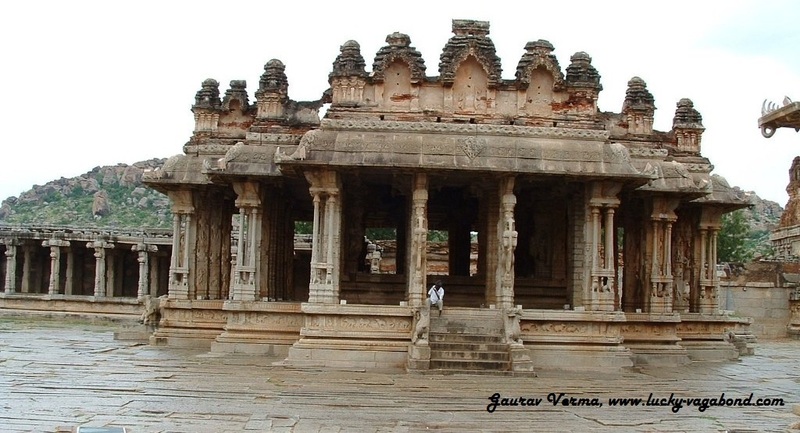 from Hampi is an another architectural marvel, Kumar Swamy Temple dedicated to Lord Karthikeya. 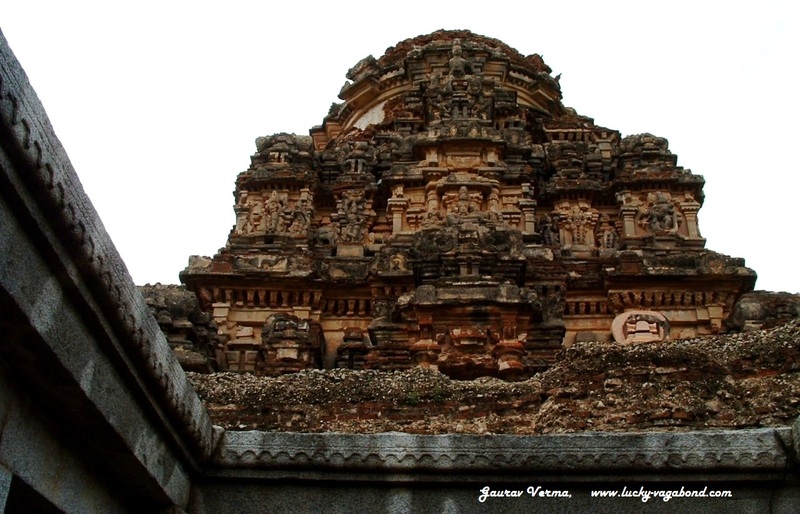 This temple was built by Chalukya dynasty and later rebuilt by Rashtrakutas. Nearest railhead is Hospet, 13 km away and Toranagallu station, 25 Kms. There are about 10 daily trains and about 5 special trains to the station, which ply once or twice a week. From Bangalore, Hampi Express is the best option. Hampi is well connected by roads to almost every nearby city. - wondered by a traveller, Abdur Razzak from Persia who visited the Vijayanagara in 1443 AD. "Roses are sold everywhere and are an intricate part of life of people here, as necessary as food....Each strata of society/ class has shops adjacent to one another; the jewellers sell pearls, rubies, emeralds, and diamonds. In this agreeable locality, as well as in the king's palace, one sees numerous running streams and canals formed of chiselled stone, polished and smooth." This show cases the heights of equality the society has achieved where each profession was duly respected without any discrimination. 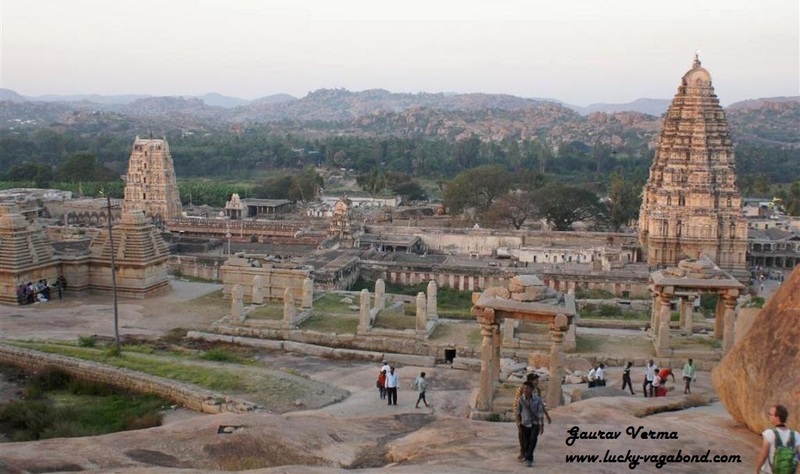 With awesome landscape along the banks of Tungabhadra river, Hampi was the capital of mighty Vijayanagara kingdom. The era of Vijayanagara empire has been often called as the most prosperous region ever to have happened, on this earth. The Vijayanagara kings were great patrons of art and made Hampi flourishing centre of Indian culture. Above structure, Mahanavami Dibba or Dasara Dibba was constructed by Krishnadevaraya after his victory on Udaigiri. This platform was used by royals to watch "Mahanavami Festival", "Dussehra Festival", army march past and any procession. This GRAND, three tiered 8 metre high stone platform is located to the northeast of the royal enclosure. 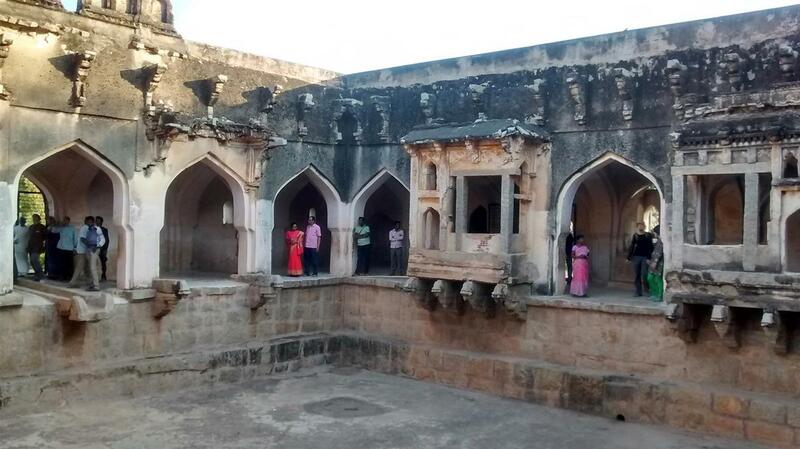 Built in granite in 16th century AD, the platform is nearly 35 sq mts and has steps on the East, West, and South. Platform has sculptures depicting the socio-cultural activities of the time in the typical Vijayanagara style of architecture. 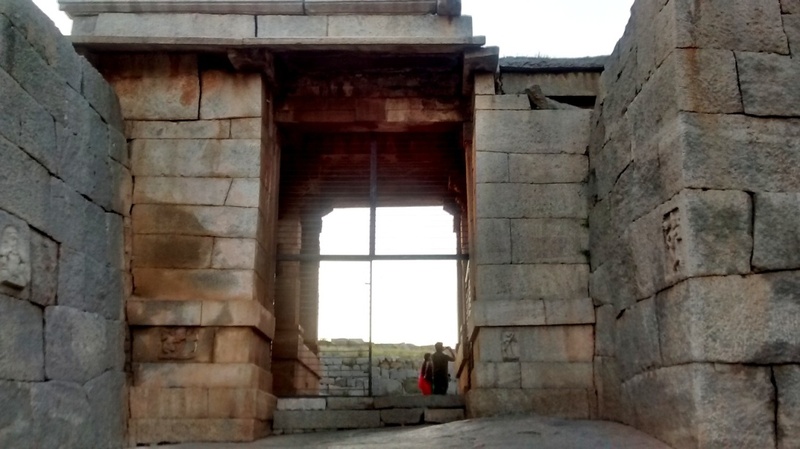 Get ready to explore Hampi. From outside it looked like a palace, where once water filled trenches all around the structure with fiery crocodiles used to ward off any unwanted invaders. Few yards ahead is the Prasanna Virupaksha or Underground Shiva Temple: As the name suggests, this temple was constructed below the ground level. The temple was buried for over 400 years before it was discovered in the 1980’s. Looks like this the private temple of the Royal family members for their private ceremonies, as it is very near to noblemen’s quarters. 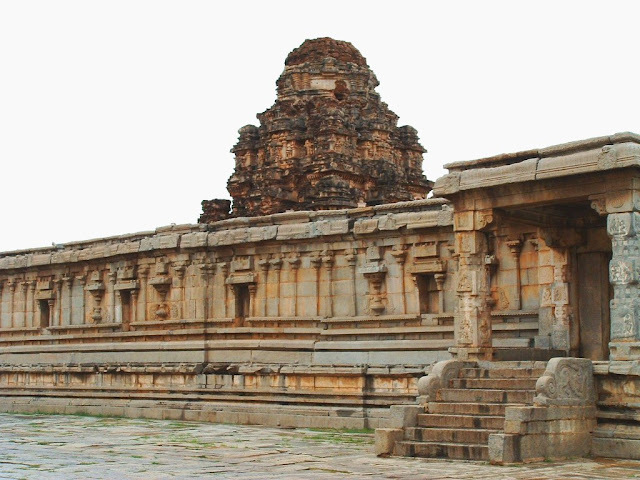 The Hazara Rama Temple is a significant spot in Hampi. It was once the private temple of the kings and the royal family of the Vijayanagara Empire. The reigning deity of the temple is Lord Rama. The temple is known for its relics and panels that depict the story of Ramayana. Only a few steps and few minutes in Hampi and I have been completely floored by the unique charm of this place. Next spot in line is Henkuta Hill and the amazing world of temples here. 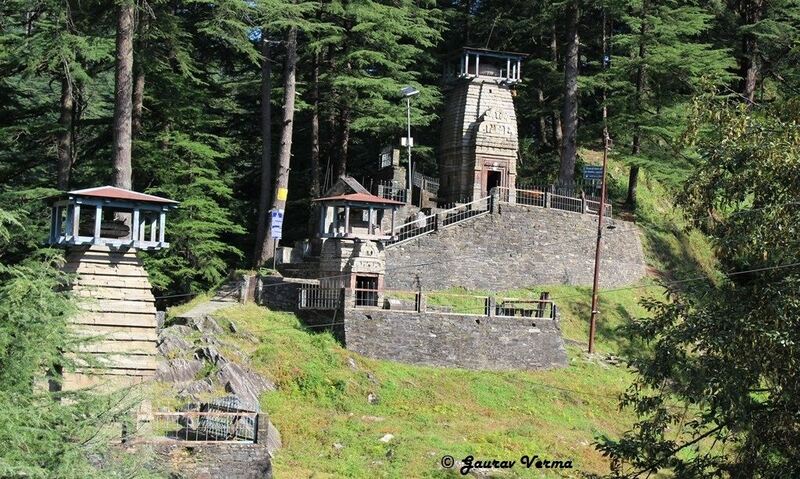 Just below the Hemkuta hill is the Laxmi-Narsimha temple. Carved out of granite stone in 1528 AD during the reign of Krishna Deva Raya, this 6.7 metre statue still retains its original charm. 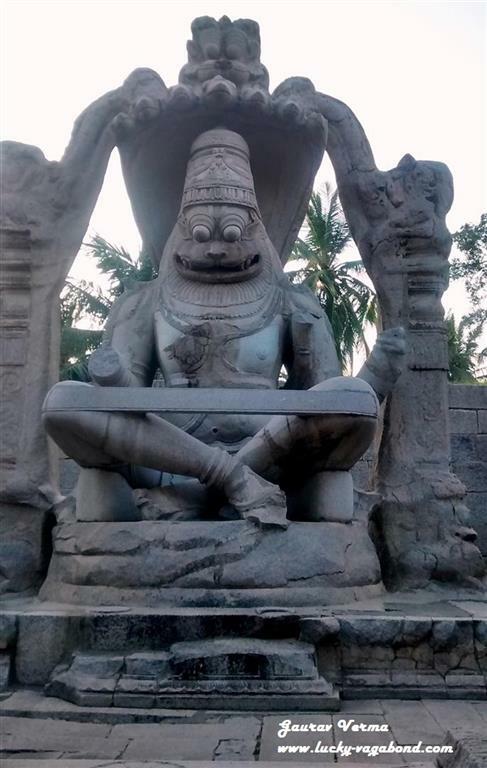 Lord Narsimha is seated on divine snake "Adishesh" which is also forming the hood over the head of Lord Narsimha. Observe this statue, one can see a feminine hand on the left part of the torse. As told by localites it is the hand of Goddess Laxmi. This beautiful statue was vandalized and broken by the invaders in 1565 AD, broken portions are still visible. But the glow in the eyes of Lord Narsimha is still intact. Adjacent to Laxmi Narsimha temple is Badavilinga-temple: Legend has it that this was commissioned by a peasant woman and hence the name (Badva means poor in local tongue). Base of this Shivlinga is always under water. Walking a few steps on Hemkuta Hill, it was the time to pray at Sasivekalu Ganesha Temple. Lord Ganesha'a love for food is widely admired. As per the legends one fine day, Lord Ganesa ate so much that his tummy was about to explode. In order to save his tummy, he just caught a snake from the ground and tied it around his stomach to prevent his tummy from bursting. Snake tied around his tummy is visible in the statue. Just in front of Sasivekalu Ganesha shrine you can see a huge site map of Hampi installed by the archaeology department. Moving ahead we are on Hemkuta hill, the best place in the region to watch Sunset and the amazing world of temples. Hemkuta hill is a paradise for art lovers, numerous structures are carved out of beautiful images of Gods and Goddesses. No doubt the times of Vijaynagar empire was the golden times for art and culture which flourished in every part of this place. Nearest railhead is Hospet, 13 km away and Toranagallu station, 25 Kms. There are about 10 daily trains and about 5 special trains to the station, which run once or twice a week. From Bangalore, Hampi Express is the best option. Hampi is well connected by roads to almost every nearby city. Staying options are available at Toranagallu or Hampi.